With over 9 million visitors each year The Great Smoky Mountains National Park (GSMNP) is the most visited National Park in the country. These ancient mountains, some of the oldest in the world, continue to attract vacationers from all over the country and the world. Many visitors to the Great Smoky Mountains may be also be surprised to learn that the Great Smoky Mountain is considered one of the most biodiverse places in the country with a wealth of flora and fauna (over 16,000 species of flowering plant and 66 species of mammal). The numerous types of ecosystems that house these plants and animals is encompassed all within this one park. In fact the Great Smoky Mountains is so unique in that a hiker an experience three different climate zones all in one hike, replete with different flora and fauna in each zone. 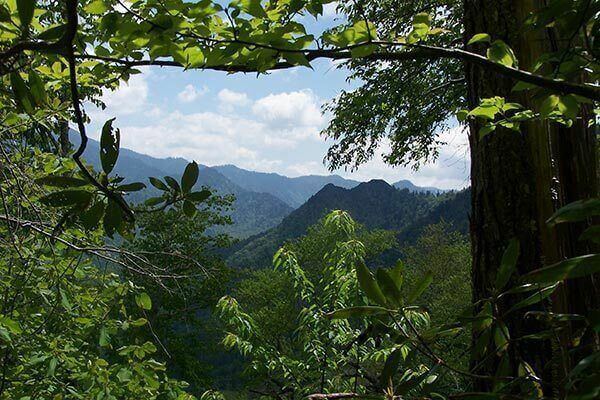 Therefore, visitors really have the opportunity to experience the beauty, natural wonders, and biodiversity of the Great Smoky Mountains National Park best through hiking. While many visitors come to the Great Smoky Mountains National Park to experience the wonder of these majestic mountains and awe-inspiring setting, very few even scrape the surface of the numerous hiking trails that plunge up, into, and cross this immense park. Covering more than 521,000 acres the Great Smoky Mountains National Park features more than 800 miles of hiking trails, including nearly 71 miles of the famous Appalachian Trail. In order to help guests to the area further enjoy and appreciate the astounding park, we’ve created the ultimate “Insider’s Hiking Guide” to the Great Smoky Mountains National Park. Visitors can use this guide to choose from an array of outdoor experiences, whether it be viewing a waterfall or hiking to a mountain bald to experiencing a panoramic mountain vista, this guide has it all. To create this hiking guide, we went straight to the most knowledgeable sources. 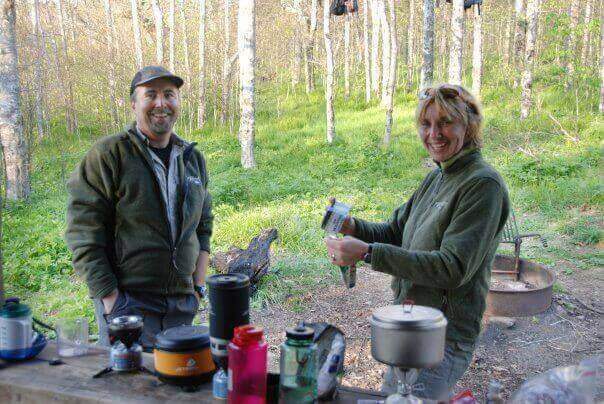 We interviewed numerous local hiking experts, outdoor outfitter owners, guides and more. We probed these local hiking gurus to find their favorite hikes, vistas, and sacred spots located within these marvelous mountains. Here’s where the locals, longtime Smokies connoisseurs, and naturalists hike, escape and find their Zen. “I’ve hiked in national parks all over the country, but I really enjoy the variety of terrain here in the GSMNP. You can be in river valleys, ridge tops, everything in between, all in the same hike even. It’s pretty amazing!” Brad Dodson, member of the Smoky Mountain 900 Milers (a select group of Smoky Mountain hikers who have traversed every single trail in the park). 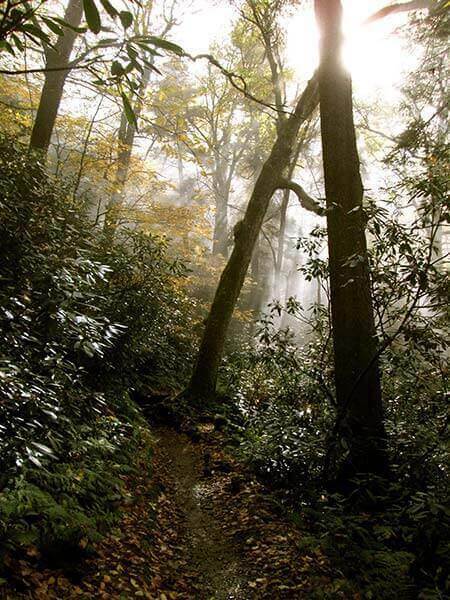 “One thing about hiking in the Great Smoky Mountains National Park is it’s pure hiking. [Because of the regulations for the park…] you aren’t going to encounter any ATVs, dogs, or mountain bikes. It’s really set aside and created just for hiking and that makes it different than many other area hiking options.” Ed McAlister, owner of River Mountain Sports in Knoxville. 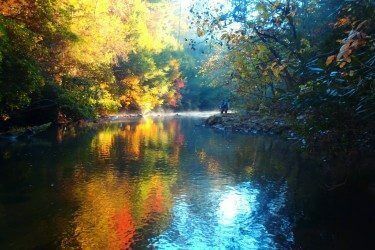 “One of the key features of why we love the GSMNP is the diversity of the park. It seems like the park has something for everyone who visits. For hikers, you have numerous trails to hike. The trails take you to waterfalls, to tops of mountains, through old growth forests and through old homesteads…Nature lovers adore the park as well. The park is home to many different wildflowers and wildlife. Another reason we love hiking in the park is the peace of being outside in nature. The GSMNP is the most visited park in the US, so we see a lot of traffic. Barring some of the more popular trails, you can be on a trail and not run into another person. The sights and sounds of being in the park is why we continue to go back. Its just like John Muir said, ‘The Mountains are calling, I must go.” Ben Lethco Manager of Nantahala Outdoor Center-Gatlinburg. “The Great Smoky Mountain National Park has beautiful views. It was settled by rugged, interesting, capable people. There are so many well documented examples of their culture, examples of a second growth forest and well marked trails. Not to mention its diverse and interesting flora and fauna.” Greg Rowe, co-owner of Little River Trading Company in Maryville. “[I love hiking the GSMNP because of its]… unique lush vegetation. For the most part the trails are very well defined and marked with signs. The backpacking is made easy with well distinguished campgrounds, cable for hanging your food and pack, and an abundance water source. The wonderful history and stories of the trails.” Caroline Haynes, Store Manager for Blue Ridge Mountain Sports in Knoxville. Big Creek/Mouse Creek Falls A great family friendly hike in a different area of the park Big Creek Mouse Creek Falls is located near the North Carolina/Tennessee line. This wide trail follows a former railroad grade used to carry out lumber during the logging boom that predominated this area in the early 1900s. Accessed from the Big Creek parking area just past the ranger station, hikers will enjoy following much of this beautiful creek as they wind up the trail on this hike. At nearly a mile and half hikers will come upon a beautiful deep pool known as Midnight Hole. 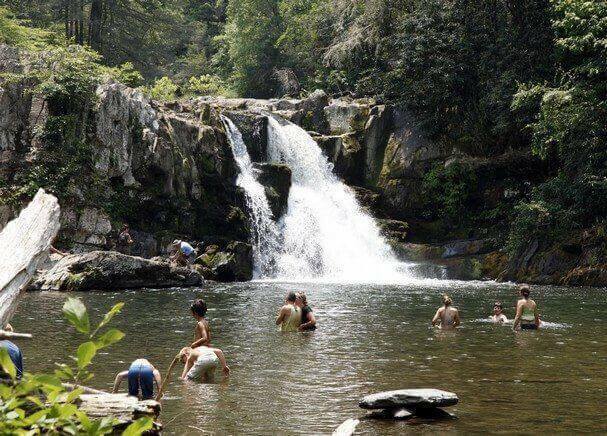 Also, a popular swimming hole in the area, a 6 foot waterfall cascades into this pristine pool between two boulders. 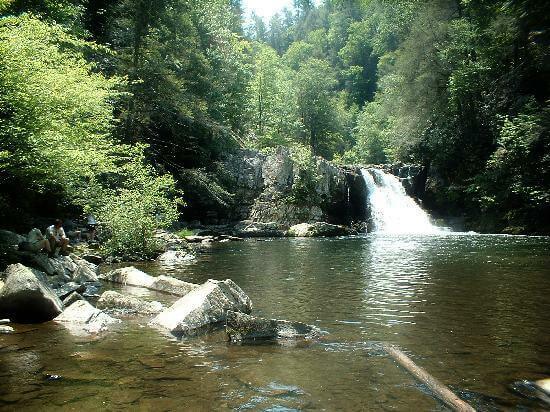 At just over two miles hikers will notice a short side trail on the left that leads to Mouse Creek Falls. This is the final destination for the hike. 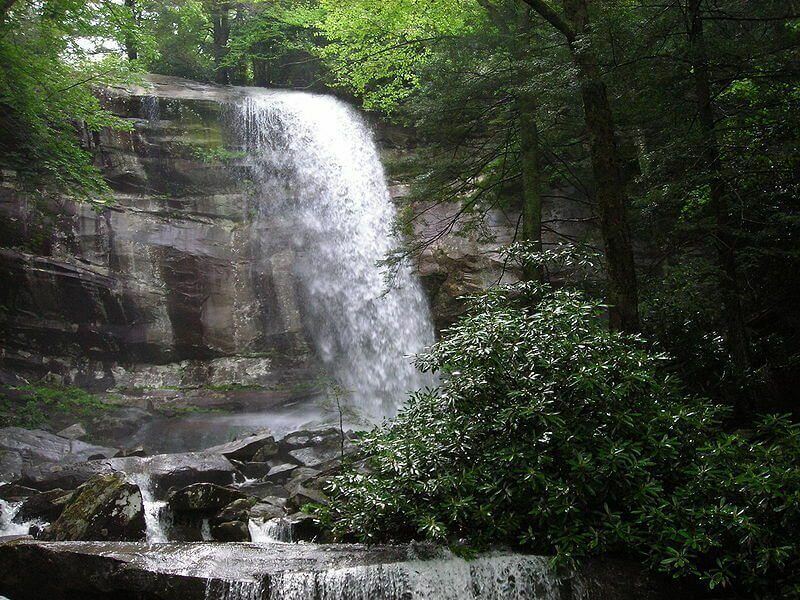 Hikers will delight in the picturesque 45 foot waterfall that pours over ancient mossy rocks. A bench is located at the bottom to rest, take photos and just take in these magnificent falls. This trail has a little bit of everything, boasting three waterfalls, wildflowers, and a lot of history. This trail is a real treat for hikers not just because of it’s three splendid waterfalls. In addition hikers will also enjoy the history and wildflowers encountered along this trail. Beginning at the end of Tremont Road near the Townsend “Y.” Just near the trailhead for this hike, hikers will notice the remains of the former lumber camp known as Tremont. This community had a post office, hotel, a general store, maintenance sheds, and a community center that also served as a church, school, and movie theater. This hike is steeped in history, even down to the ground hikers walk on. Hikers will enjoy traversing this wider trail-like-road. While many people might think this was a former road, it was in fact an old railroad bed for the Little River Lumber Company. This section of the park was logged until 1918, when its owner finally agreed to sell its land to the park. 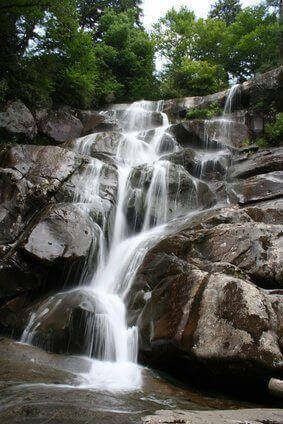 After hiking nearly half a mile hikers will encounter the 35 foot, multi-tiered waterfalls, Lower Lynn Camp Falls. This rushing layered falls are really spectacular and are especially resplendent after wetter weeks. As hikers trek on they will next come upon Lynn Camp Falls, another superb multi-tiered waterfall. Near the two mile mark just off the side of the trail the remains of an old rusted Cadillac are pressed into the ground. Just past the three mile maker hikers will see the pass a chimney from an old homestead on the left side of the trail. And finally when you pass over the footbridge, at a bit over 4 miles from the trailhead hikers should be on the look out for an unmarked side trail, branching off to the right. This trail leads to Indian Flats Falls, the final waterfall of the hike. 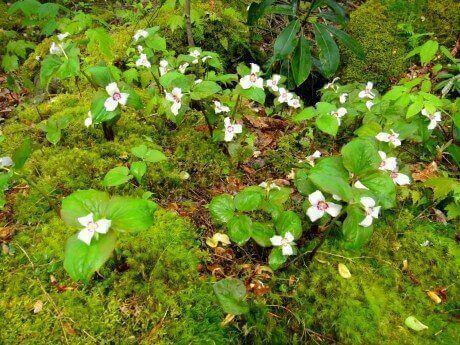 This hike is also a recommended “WildFlower Walk” by the GSMNP and during the spring and early summer hikers may view a plethora of vibrant wildflowers such as foamflower, toothwort, violets, wood sorrel, and trilliums first two miles. The trail to these beautiful falls is actually accessed via the Historic Nature trail that starts at traffic light 8 in downtown Gatlinburg. After starting at the trail-head off the Roaring Fork Motor Nature Trail, hikers will experience a steady climb through boulder fields for the first part of the hike. They will follow Le Conte Creek and cross over two footbridges before arriving at their destination, Rainbow Falls, at 2.7 miles. The beautiful Rainbow Falls is the largest single drop waterfall in the park, with a height of 80 feet. On a sunny day a rainbow is often produced by the falls’ mist, thus deriving its name. Hikers can venture close to the base of the falls, but the park highly cautions people to be wary of the slippery and mossy rocks located under the falls. 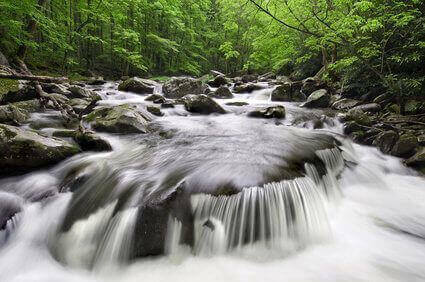 Ramsey Cascade Located in the Greenbrier section of the park, this trail is strenuous but it is worth the hike. With over 2,300 feet in elevation gain this hike is considered strenuous. Though rugged and steep in parts, this hike is still popular due to the reward that lies at its destination, the gorgeous falls. Hikers begin this trail follow the remains of an old gravel road for the for 1.5 miles that will eventually turn into a more narrow path. From here hikers will begin to enter one of the few old growth forest remaining in the park, untouched by the logging boom in the early 20th century. Some of the oldest and largest trees in the park can be found in this area and hikers can enjoy walking among large tuliptrees, eastern hemlock, basswoods, silverbells, and yellow birches. 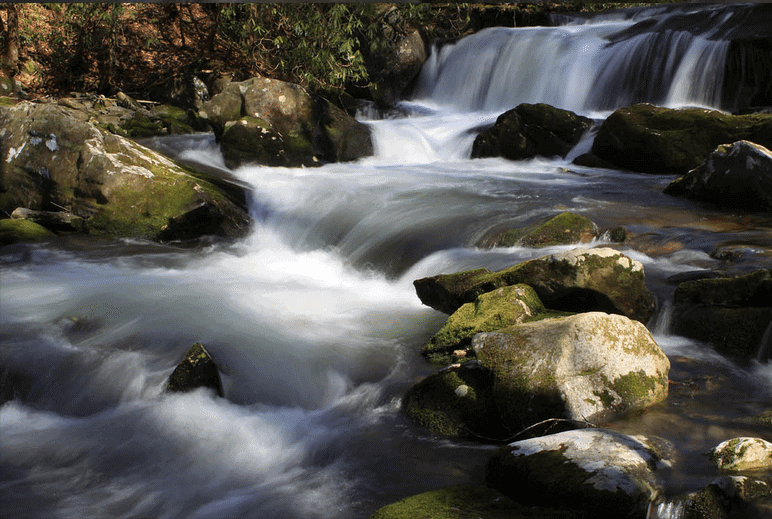 The trail follows Ramsey Prong of the Little Pigeon River, so hikers can enjoy the babbling rivers and streams en route to their destination. Thetrail culminates at Ramsey Cascades that flows over rock outcroppings from 100 feet high. This waterfall lands in a small pool below, where numerous salamanders can be found. While Abrams Falls is not the highest waterfall in the Great Smoky Mountains National Park, reaching only 20 feet high, it is one of the more prolific in the park. The large volume of water rushing over the falls and plunging into the sparking 100-foot pool at its base, certainly makes it worth the hike. Although ranked moderate, Abrams Falls is only a 5 mile round trip hike; making it relatively easy compared to other hikes that gain much more elevation (this hike only has a 340 foot total elevation gain). 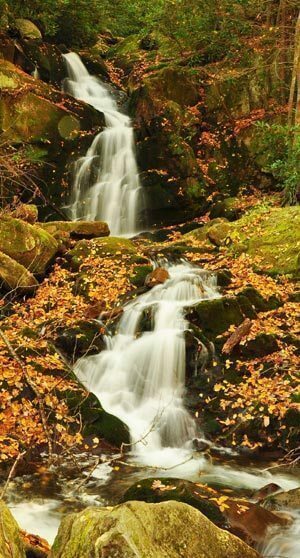 Named after a Cherokee Chief who’s village was once located a few miles from these falls, this trail can be accessed via the Cades Cove Loop road. 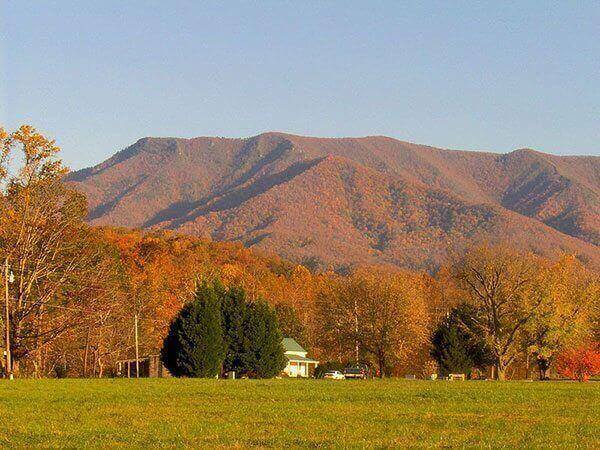 Hikers will begin their hike at the back of the grassy field just past stop #10 on Cades Cove Loop road. 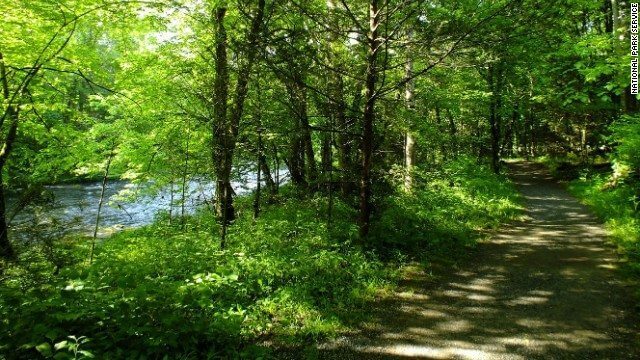 They will then meander down the trail that follows Abrams Creek, that they crossed to get here working there way through ridges of pine-oak forest and hemlock and rhododendron forest closer to the creek. This hike’s destination Abrams Falls is reached after 2.5 miles. Here hikers bask in the rushing waters and luminous water pooled at the bottom of this rushing cascade. While some people choose to take a dip. It is highly warned that swimming is extremely dangerous here due to strong currents and undertow, numerous drowning have occurred at this spot. Best known for the flame azaleas that bloom on it’s summit during June, this hike also offers superb panoramic vistas. With over 3,000 feet of elevation gain this hike is also rated strenuous, so it’s not for the faint of heart. However, adventurers seeking an incredible view will find the 11.3 mile (round-trip) hike well worth their efforts. As it’s name would suggest the summit-Gregory Bald-features a 10-acre meadow, where you can frolic and gape at the stunning views, and have your own “Sound of Music” moment. This hike includes stream crossing, old growth forest wildflowers in the spring, and of course the amazing bald on top with scenic views of Fontana Lake, Cades Cove and more. The University of Tennessee has a song about it, “Good Old Rocky Top,” this famous anthem belted at any an every football game or prideful UT moment. The song is famous, but the people that actually summit this legendary mountain are few and far between. 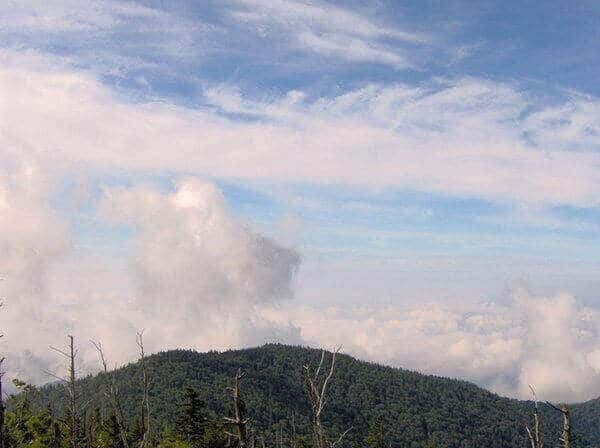 Over seven miles each way, this hike, Rocky Top is also known as Thunderhead Mountain. This is an intense trail to say the least, with over 3500 of elevation gain. This hike leaves from the beautiful Cade’s Cove just near the picnic area. For those seeking those panoramic views and Kodak worthy scenes without the strenuous hike, Andrews Bald is your best option. Leaving from Clingman’s Dome parking lot (the highest point in the park) Hikers will travel 1.7 with ,only a 900 foot elevation gain compared to the other more strenuous balds, along the Forney Ridge Trail. However, this trail is known to be rugged and rocky, so be sure to wear good hiking boots! Hikers will pass through a spruce fir forest, typical of this elevation in the park, and travel up and join with the Appalachian Trail briefly before turning toward the bald. A perfect place to have a picnic and relish your rugged climb, Andrew’s bald features several acres of open grassy meadow. Balds such as Andrew’s Bald and Gregory Bald are known as high elevation grassy meadows, and are just a few of the grassy meadows maintained by the national park service. If these bald were not maintained by the park forest would grow and recover these areas. Hikers will climb 1,700 feet in just two miles to reach the 4,800 foot summit. While rated moderate, this is a strenuous and slick climb. Hikers are advised to be in good physical shape as hand over foot climbing is necessary in some portions.One of the more popular hikes, Chimney tops truly catches everyone’s eyes as these unique rock structures rise from the mountains. Visitors can see the twin peaks of these rare rock features while winding up Newfound Gap Road. The stunning views from these unique rock structures are well worth the climb. 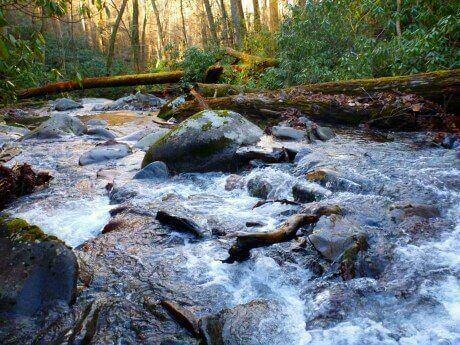 The first part of this trail follows the rushing mountain stream of Road Prong creek. During the summer months hikers will experience rhododendron, mountain laurel and many other wildflowers along this part of the trail, the rest of the trail is a very steep climb. 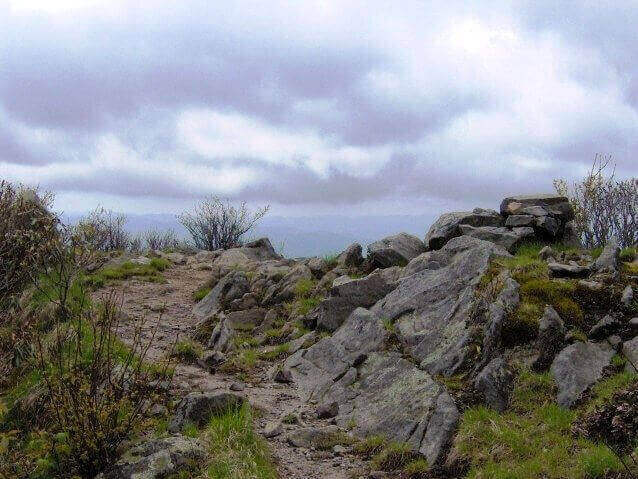 Due to the heave use of this trail The combination of heavy use, abundant rainfall, and steep terrain had turned the Chimney Tops Trail into a badly eroded obstacle course of slick, broken rock, exposed tree roots, and mud. These hazards encouraged hikers to pick their way across uneven surfaces. NOTE: Summer closure dates for 2014. This trail is only open Fridays-Saturdays for trail maintenance. Learn more about trail closure here. 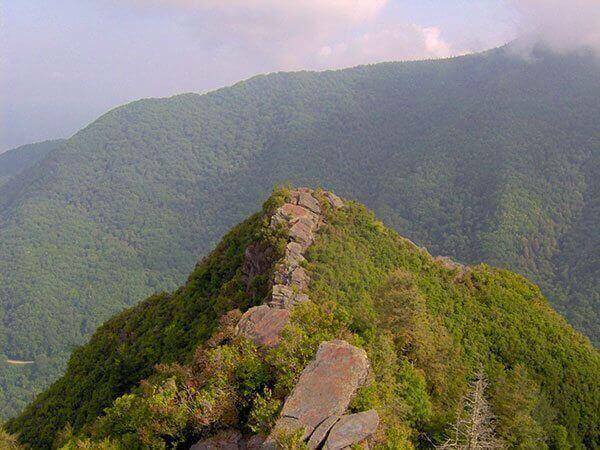 For hikers itching to hike on the famous Appalachian Trail, this hike gives them that opportunity while also rewarding them with incredible views of the Greenbrier valley and more. This is a steep climb but will quickly pull you out of the crowds of Newfound Gap. During the spring and summer hikers will enjoy various wildflowers Many portions of this hike are at or near 6,000 feet, the highest points in the park, previewing the way and excellent views Mt. Le Conte and the surrounding mountains. Charlies Bunion HikerPhoto: Brian Stansberry / Creative Commons After 4 miles of hard work hikes will reach the destination point, Charlies Bunion, formerly known as Fodderstack. This rock outcropping rises out and up, creating a perfect perch to enjoy the incredible views of surrounding mountains such Mt. Kephart and Mount Guyot towards the east. This trail take a bit more effort to access than other trails, since you must use an short access trail and walk on a short bit of the Appalachian trail to reach Sugarland Mountain Trail, making it harder to find. While many people drive down Clingman’s Dome Road to access the highest point in the park, you will stop mid-way down this road to begin scouting out the access point to the Sugarland Mountain trail. After turning right from Newfound Gap Road onto Clingmans Dome Road you will a bit over three and half miles until you reach the parking area for the Fork Ridge Trail on your left. Directly across the road from this parking area will be a sign that reads “Appalachian Trail”. This is the access trail that will lead you to the Appalachian Trail, which in a short distance will put you on the Sugarland Mountain Trail. To begin this hike, use the short access trail across the road from the Fork Ridge Trail parking area. Once you reach the Appalachian Trail turn left and in less than one-third of a mile you will come up the Sugarland Mountain Trail. After hiking on the Sugarland Mountain Trail for more than half a mile you will pass the Mt. Collins backcountry shelter. You will then hike for a mile through a thick high elevation spruce fir forest. This trail will continue to climb, and at the high elevations of almost 6,000 feet, you will really get to experience some incredible views as you traverse this spine of the Smokies. This trail will have a little less traffic than others in the park because hikers must drive and accesses it in the more remote Cataloochee valley. None the less, this hike is worth the drive it takes to reach the trailhead and the time you spend traversing. 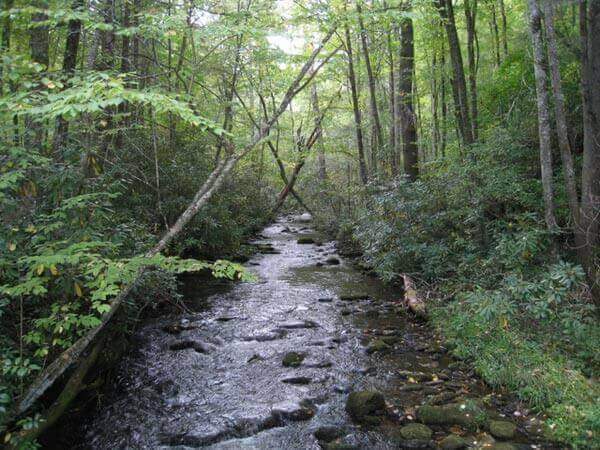 Described by some as the “Quintessential” Smokies hike, this hike includes the best the Smokies has to offer: Appalachian history, old growth forests, free flowing creeks, wildflowers, and more. This trail can be accessed in near the Cataloochee campground in Cataloochee section of the Great Smoky Mountains National Park. Like other more clandestine trails, this trail is actually accessed from another trail. Just past Cataloochee campground hikers will look for the Caldwell Fork trailhead on the left which leads to the Boogerman Trail. This hike beings on the from the Caldwell Fork Trailhead where hikers will first cross a long footbridge over Palmer Creek, and this is just the start, this hike will include 14 footbridge crossings in all. Hikers will continue through lush rhododendron and Hemlock forest for 8 tenths of a mile to reach the junction with Boogerman Trail. From here you can decide to turn left or right, as it is a loop but read more on the website’s below to choose your route. Not only will hikers have the thrill of hiking through dense old growth forest hike, along and across mountain streams, but they will also encounter the Robert Palmer home site-whose nickname was “Boogerman,” for whom the trail was named after. In addition, hikers will come upon a 70-80 foot long stone wall that was a part of the Carson Messer homestead. This hike begins in the parking area for Mingus Mill near the Oconaluftee Visitors Center just outside on the Cherokee side of the park. While many vacationers come to visit the mill few take the time to traverse these trail, meaning hikers will likely encounter less traffic on this trail than others in the park. This moderately rated trail winds beside the rushing waters of Mingus Creek. Hikers will enjoy hiking in the serene setting of this dense forest among thick rhododendron. Hikers will cross several footbridges along the way, and have the chance to view a historic cemetery at .08 miles, be sure to watch out for the sign. This hike ends at the junction with Deeplow Gap Trail at 2.9 miles where hikers will turn around to begin their descent back towards the mill. Check out The Day Hiker’s Review about this trail. For seasoned hikers that are really seeking to push their limits, these hikes are considered some of the most taxing and rugged in the park. These hikes are not recommended for the novice hiker and people attempting them should be well versed in outdoor safety, have the right gear, and a good map before attempting to conquer these demanding hikes. 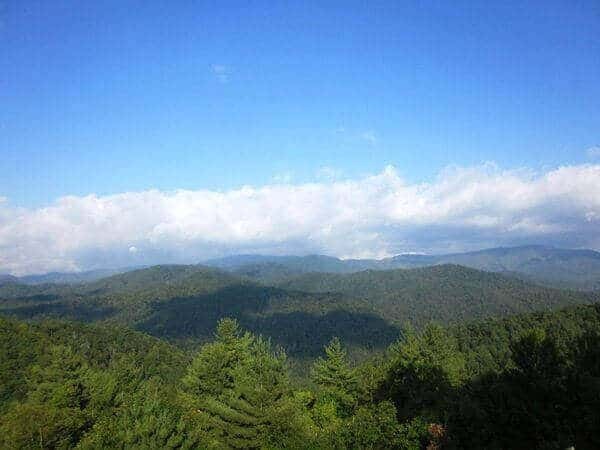 This hike starts in the Big Creek located near the North Carolina/Tennessee Border and summits and is one of several ways to summit and access the historic fire tower at the top of the majestic Mount Sterling. Considered by many to be one the toughest trails in the park and certainly the most rugged way to summit Mount Sterling, this hike is a definite endurance test. This rugged 12.2 mile trail (round trip) ascends over 4,000 feet in just over six miles. Hikers will pass through old growth forests in lower elevations and climb up through Balsam and Spruce forests at higher elevations. After a demanding climb hikers will summit at the 5842-foot. Unfortunately, the climb isn’t over, but these extra steps are worth the effort. Hikers will encounter the historic 60-foot fire tower at the top of Mt. Sterling. Upon climbing this tower hikers are rewarded for their valiant efforts with the stunning views that can be seen from this tower. From this high elevation and even higher look out tower surrounding mountains such Balsam Mountain, Mount Guyot can bee seen when it is clear. Hikers can also enjoy views of Max Patch to the east, and the Cataloochee Valley. One of the more famous mountains in the park, Mt. 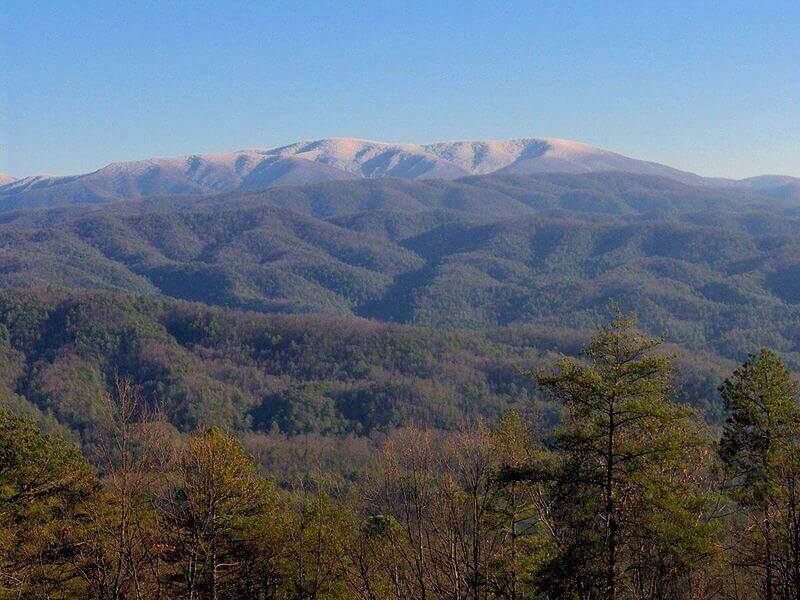 LeConte stands at 6593 feet, the third highest peak in the Smokies. It is well known for it’s rugged climbs and famous summit where the famous LeConte Lodge stands as the highest guest Lodge in the Eastern United States. While there are several ways to summit Mt. LeConte, Mt. 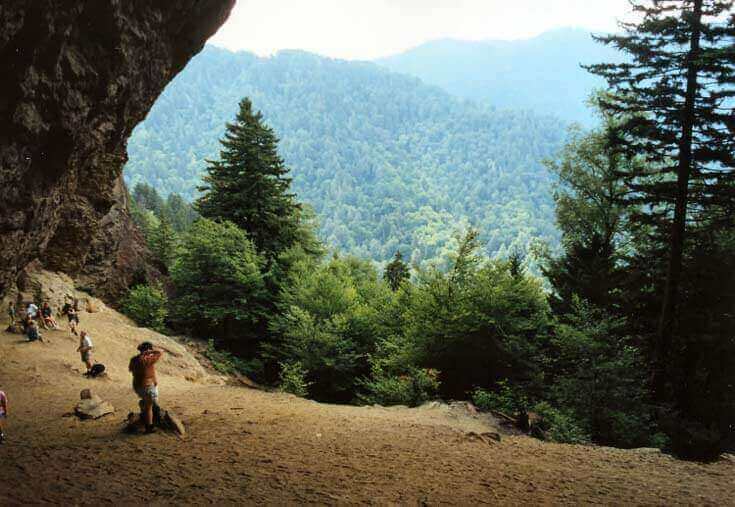 LeConte via Alum Cave Trail is considered the most interesting. This endurance hike is 11 miles round trip trail and offers both spectacular mountain views and geological marvels, such as Arch Rock and Alum Cave Bluffs. This hike begins at the Alum Cave Trailhead where hikers will traverse a little under 1 and half before reaching Arch Rock. The trail actually moves under the arch with where hikers will traverse very cool natural steps cut into the stone. Two miles into this hike, hikers will enjoy inspiration point with excellent views and just a bit further up hikers will enjoy Alum Cave, or actually a concave bluff. This is the spot where Epsom salts were mined during the 1800s and sold to homesteaders who would use it for dying homespun cloth. Hikers will climb up and over several rock ledges with cables before reaching a flatter part of the trail enters a spruce pine forest. At just over 5 miles the Alum Cave Trail ends at the junction with Rainbow Falls Trail, hikers will turn right and come upon the famous Mt. LeConte Lodge, but to reach the true summit hikers must soldier on another half a mile to reach the true summit known as High Top. From here the hiker will be rewarded with extraordinary views of the surrounding park. This 12 mile trails includes a rigorous and steep climbing in parts, and with nearly a 2,500 foot elevation gain, hikers will earn this summit with its terrific panoramic views. Hikers begin the hike to Mt. Kammerer’s summit at the Cosby Campground on the Low Gap Trailhead. 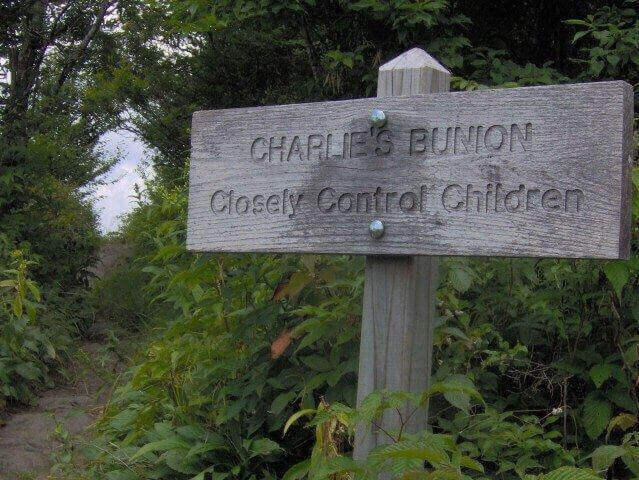 From this point hikers will experience a vigorous uphill climb before reaching the Appalachian Trail after 3 miles. After reaching the Appalachian Trail hikers will turn left to walk towards and cross a grassy ridge overlooking Cosby Valley. Finally, hikers will endure the final push on the spur trail that leads up to Mt Cammerer summit. Here hikers can delight in the amazing panoramic views of the Pigeon River Gorge and beyond with Mountains in all directions. These views can be enjoyed on the deck of a restored octagonal fire tower that sits atop Mt. Cammerer. This fire tower was built hand-cut stone by the Civilian Conservation Corp in the 1930s. For hikers seeking a bit of a historical experience this lesser known trail is a great hike through some old homesteads. 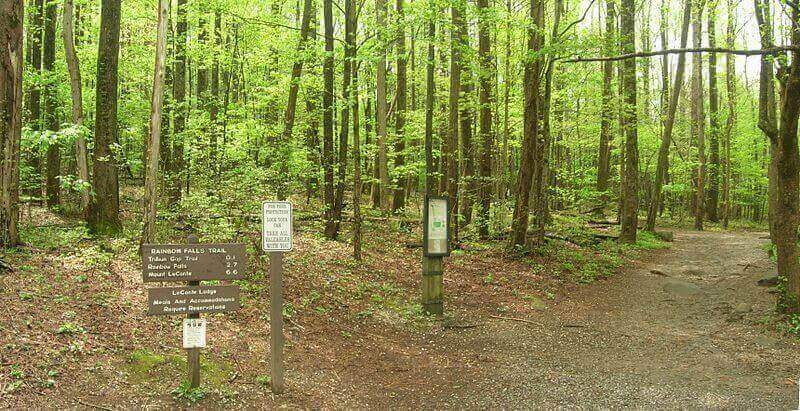 Easily accessed just outside Gatlinburg near the Sugarlands Visitor Center this hike this moderate trail gets you in the woods and gives you a great chance to enjoy wildflowers in the spring. Just after starting this hike you will encounter the stone ruins of an old fence left behind by some of the first homesteaders in the area. 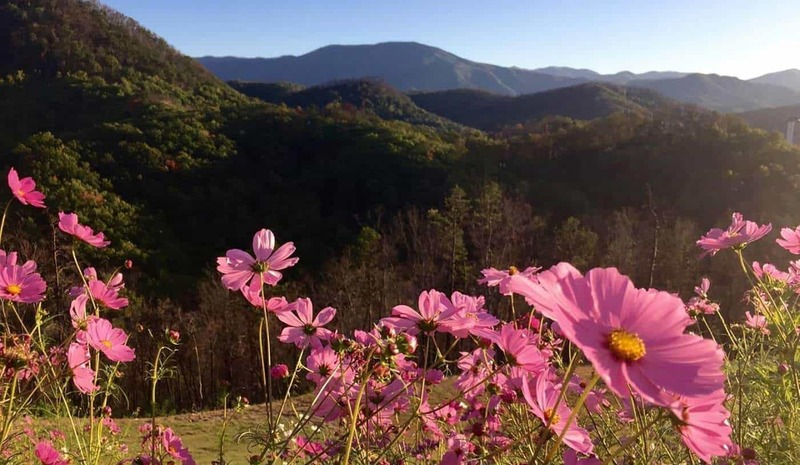 This trail is so popular for wildflower viewing that it is in fact a part of the Great Smoky Mountains Association’s annual Spring Wildflower Pilgrimage Tour that takes place every April in the National Park. Some of the wildflowers that can be viewed along this trail in the spring include: Canadian Violets, False Solomon’s Seal, Yellow Trillium, Purple Phacelia, Crested Dwarf Iris, Dog Hobble, Dogwood, Trillium Erect, Wild Ginger, Yellow Mandarin, Bishop Caps, Foam Flower, Blue Cohosh, Squirrel Corn, Silver Bell, and more. This out and back trail will take you to the Sugarland Mountain Trail. So after enjoying a moderate climb, the dense forest, and hopefully some flowers (if you are here the right time of year) hikers will reach their destination after 2.1 miles at this junction then turn and head back. For young families with wee tots that may need a stroller or a more stable surface to waddle up Laurel Falls is a great choice. This trail is one of the most popular trails in the park for a reason, not only is it paved, but the hike culminates at the 80-foot high Laurel Falls. The round-trip distance to the waterfall is approximately 2.6 miles and takes most visitors about two hours to complete. Hikers will be thrilled to view the 80 foot falls when they arrive at the top. 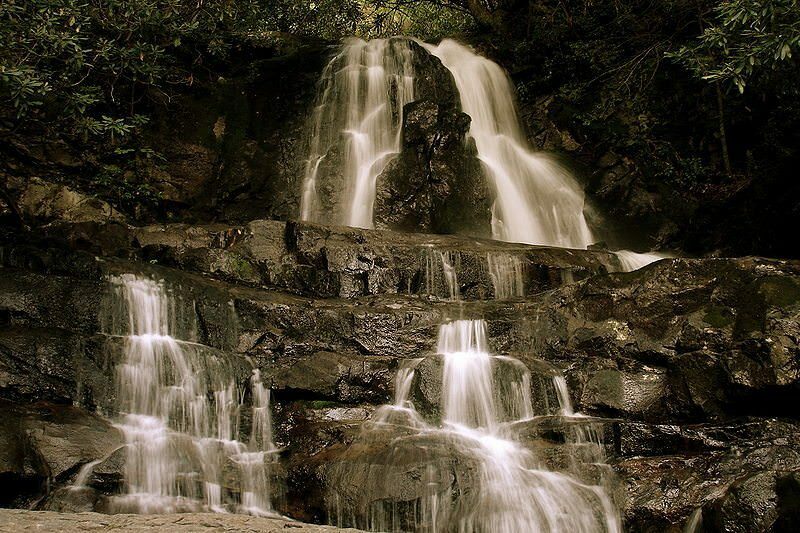 Named for the abundant Mountain Laurel that grows in the Great Smoky Mountain region, the falls are actually divided into an upper and lower section divided by a walkway over the stream. These splendid falls are sure to be a delight for the entire family. NOTE: because this trail is paved there are sections that can be especially slick or icy. Be sure to watch your step! This rolling and relaxing hike is great for families. This is easy trail is only 3.8 miles round trip and has minimal elevation gain compared to other trails in the park. This trail offers a wide path for families that would like to walk side-by-side or in small clusters. In the spring, this trail is well known for its abundant wildflowers. Hikers can expect to see Virginia bluebells as well as beaked violets, pink lady’s slippers, fairy wand, golden aster, star grass, red clover, Robin’s plantain, sun drops, Catesby’s trillium and lyre-leaf sage during season. Also as hiker’s gain elevation rhododendron and mountain laurel can also be seen. 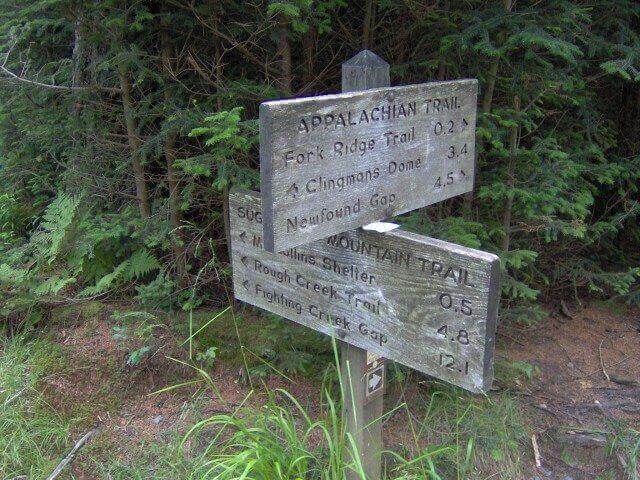 This trailhead can be found 3.9 miles west of the “Townsend Y” on the road to Cades Cove. At a little under a mile Hikers will come to Turkey Pen Ridge Trail which branches off to the left, and they will continue straight to stay on the School House Gap Trail. They will then encounter another trail leading off to the left just after Turkey Pen Ridge Trail. This out-and-back trail ends at the junction of Chestnut Top Trail after 1.9 miles from the trail head. 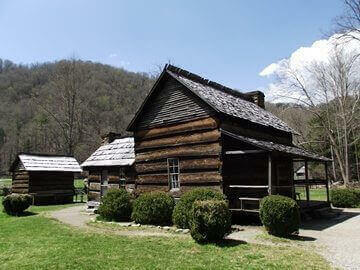 This is an easy, 3 mile round trip hike that starts at the Oconaluftee Visitors Center, two miles north of Cherokee. This rolling hike is great for families as it is a wide path that travels beside the rushing Oconaluftee River. This trail also goes through the Mountain Farm Museum. 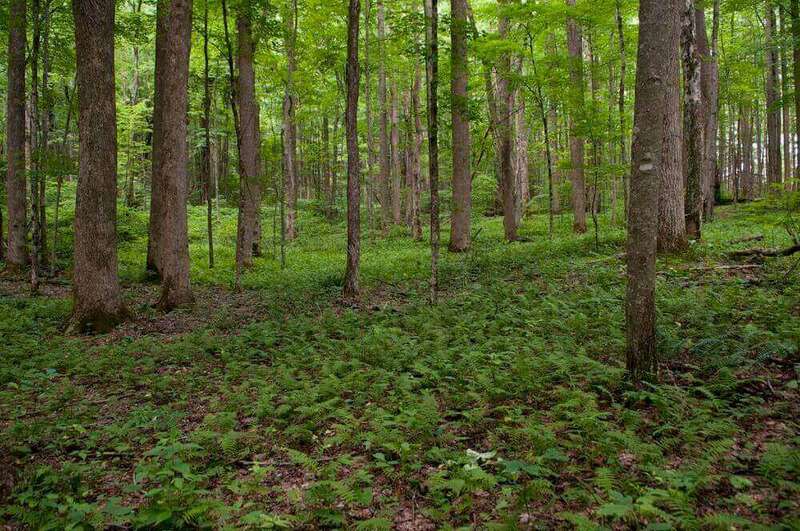 Hikers will also enjoy walking through the dense and picturesque forest among numerous trees such as: Eastern hemlock, yellow buckeye, Eastern sycamore, white basswood, flowering dogwood, and tuliptrees. This trail is also a favorite spot to view more than 40 species of wildflowers in the spring. Some of the most popular wildflowers viewed along this trail, are a variety of trillium and violets, jack-in-the-pulpit, squirrel corn, stonecrop and May apple can be viewed along this trail. 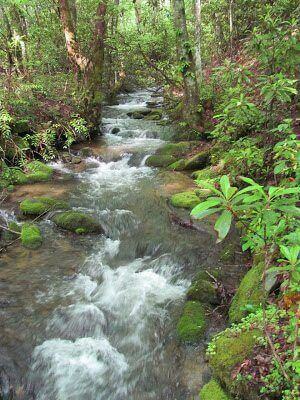 This beautiful trail winds up beside the babbling waters of Porters Creek in the Greenbrier area of the park. 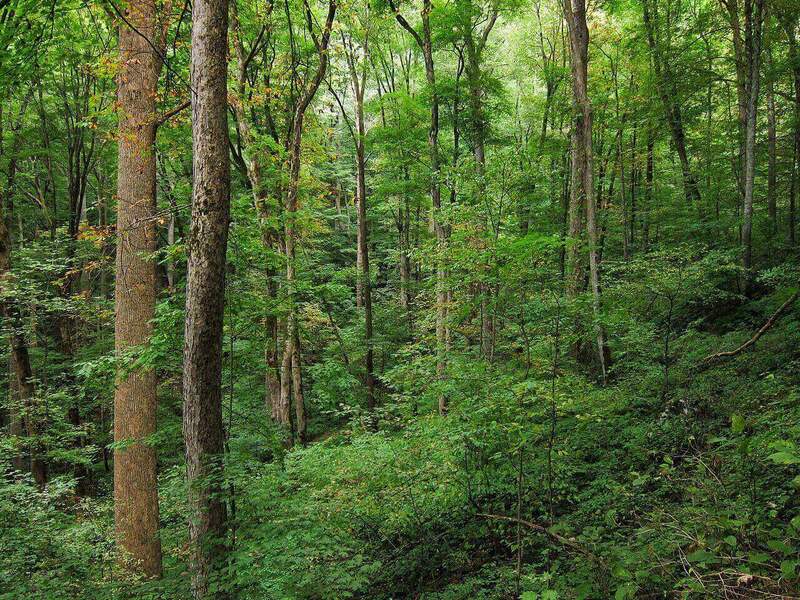 Hikers will traverse through dense forests with the opportunity to view and visit historic sites along the way. In addition a beautiful waterfall awaits at this trail’s end. Located off 321 this trail can be accessed by turning right into Greenbrier near the town of Pittman Center outside of Gatlinburg. Hikers will travel down this road as it turns into gravel and past a junction to the trailhead. Porters Creek Trail begins as a wide gravel road. 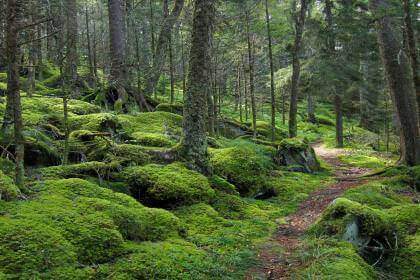 Hikers will travel through a thick forest with abundant foliage and moss covered rocks so popular in stream pictures of the Great Smoky Mountains. After hiking about 2/3 mile hikers will encounter the stone wall remnants from the Elbert Cantrell farmstead. Just over a mile from the trailhead hikers will cross a footbridge and find a fork in the road. If they choose they can follow the trail to the right that leads to the historic John Messer farm site, which includes a cantilevered barn built in 1875. Hikers will continue on to the waterfalls reached around 2 miles. This 60-foot Fern Branch Falls cascades down the ridge to the left of the trail. These falls make the hikers destination and turn around point. This trail is spectacular for wildflower viewing. Located in the Greenbriar area of the park hikers can do this moderate 4 mile roundtrip hike and see a plethora of wildflowers such as find yellow trillium, toothwort, wild geranium, May-apple, dwarf ginseng, blue phlox, baneberry, foam flower, halberd-leaved violets, woodland bluets and Jack-in-the-pulpits. This trail also features a waterfall. Some visitors to the park might be on the fence about whither or not to hire a guide. But as Vesna explains a guide can really give you a whole new spin on the area and inside peek that would otherwise be more challenging to find. “As a guide and traveler myself, I always insist on doing at least one guided tour of an area. A guide brings a whole different component to an experience and a great guide will create a sense of connection to the place through his/her love of the area. This guide service has continually garnered fame and awards for their superb skills in guiding and customer satisfaction. As Vesna describes, “In 2012, we were given the Top Guide award through REI Adventures, the only guide service in the entire Eastern US to have ever received this prestigious award. We are consistently in the top 5 attractions from Trip Advisor.” In addition, A Walk in the Woods has been featured on Samantha Brown’s Travel Channel Program, on National Geographic Globe Trekkers, NBC Nightly News, Backpacker Magazine, Endless Vacation, USA Today, AAA magazine Home and Away, National Geographic Adventurer, Outside Magazine, in the Washington Post, the Wall Street Journal, Shape Magazine, Women’s Health, Southern Living, and more. Founded in 1972 as rafting company in the beautiful Nantahala Gorge, the Nantahala Outdoor Center is considered the premier rafting company of the southeast. As their reputation with rafting and outdoor adventure grew the NOC expanded its reach to other areas in the Appalachian mountains. While many of these outposts have guided trips and sold outdoor apparel and gear it wasn’t until. that NOC decided to open their flagship store in Gatlinburg. In fact a visit to the store is a family excursion in and of itself. 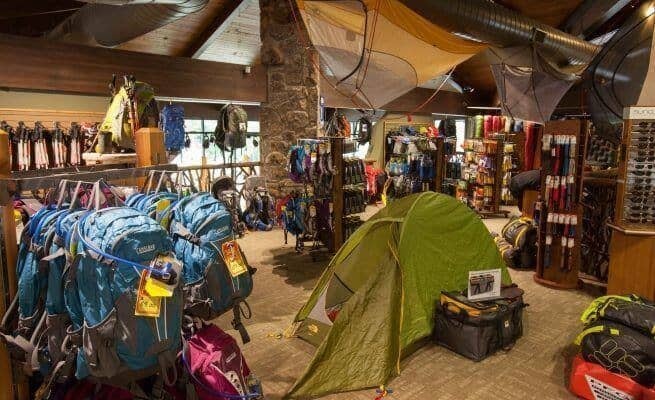 With swinging rope bridge, kid-friendly bear cave, giant fireplace and climbing wall, families could spend an entire afternoon exploring the store. Not to mention the shopping, NOC-Gatlinburg features top outdoor brands. As Manager Ben Lethco notes, “We sell products from Columbia, Keen, Chaco, Osprey, Patagonia, Mountain Hardwear, Deuter, just to name a few. We have also devoted 1000 square-feet of the store to The North Face called The North Face Summit Shop. 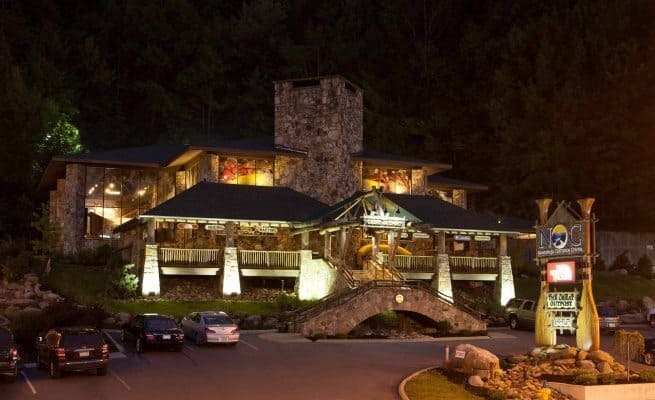 We also sell pottery and gifts made right here in the Smokies.”” In addition to outdoor gear, apparel, and equipment NOC-Gatlinburg carries vacation necessities such as like shoes, sandals, swimsuits, sunglasses, hats, jackets, coats, gloves, or even headphones on a seasonal basis. Little River Trading Company features everything you need to take advantage of the grand natural wonders that lie just beyond the doors of this outfitter. With top of the line clothing, apparel, and gear, this one-stop-shop has everything a potential hikers needs to explore the Great Smoky Mountains. From essential footwear with brands like Solomon, Merrell, Keen, Chaco and Oboz. They also feature a great selection of Osprey day and backcountry packs. On top of any apparel and accessories to great up for the hike. Opened in the spring of 1996 the Little River Trading Company moved to a newer, bigger location in June of 1999. Curing this move they went into partnership with Tim Patterson to expand their store and add Cycology Bicycles a newly built building directed attached to the store’s current location. Little River Trading Company employs a skillful set of outdoor enthusiasts eager to help guests explore the store and find just what they need. This quality group of local outdoor experts, naturalists, are passionate about the outdoors and committed to customer service. They gladly work with each guest to help select the gear, clothing, apparel that will help them maximize their outdoor experience. 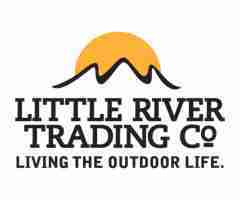 Little River Trading Company is also committed to stewardship, preserving and conserving taking care of the abundant and beautiful natural resources that abound in East Tennessee. This company really puts their money where their mouth is, so customers can not only get excited about the quality products they are purchasing, but feel good about the company it supports and their genuine efforts to lead in responsible ways. Using brown kraft paper reusable gift bags since opening 18 years ago is just one of the ways in which they do this. They also seek to purchase products from Vendors that follow these principles, such as their signature Little River Trading Company T-shirts that are made from 100% recycled material and made in the USA. They also work with community partners such as “Gear for the Good” which helps put used gear in the hands of people who might not be able to afford it, but are bound to make fun and lasting memories with this nice equipment. Don’t let the name fool you, River Sports Outfitters doesn’t just focus on water sports. This independent specialty outdoor outfitters, specializes in everything outdoors. With over 28 years experience owner, Ed McAlister’s store features specialized gear, products, apparel and more for: road / trail biking, road / trail running, rock climbing, kayaking / canoeing, and hiking and camping. River Sports Outfitters carries the best in outdoor industry brands with a focus on these core brands: Vibram FiveFingers, Mountain Hardwear, Montrail, Chaco, Keen, Patagonia, Asolo, Arc’teryx and Marmot. Customers can shop in person at their Sutherland Avenue location in Knoxville or access their incredible online catalog to pursue gear and brands to order before a hike. This location also has a Climbing Center with rentals at their Sutherland Avenue location. 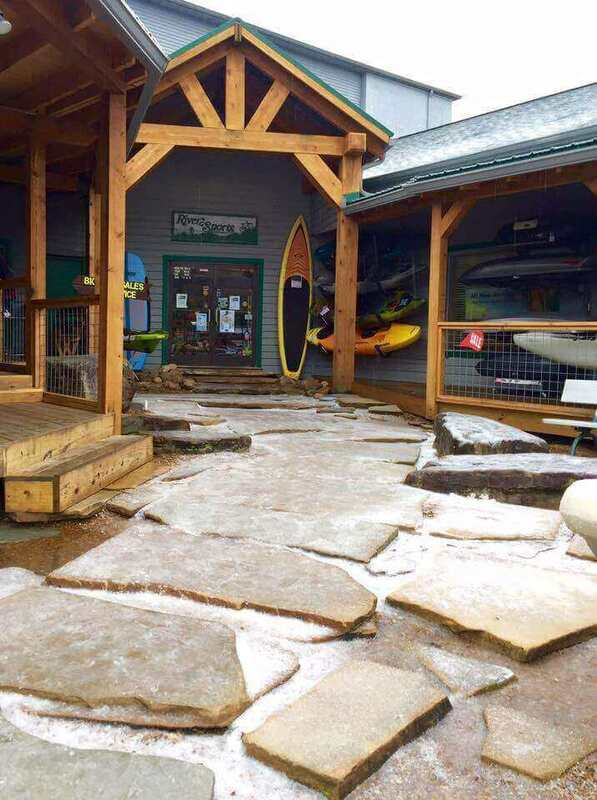 In addition River Sports Outfitters has two seasonal locations open in Knoxville at Ijams Nature Center and at The Cove. These locations feature bike and kayak/canoe rentals. River Sports Outfitters also does an incredible job of promoting local outdoor events in and around the Knoxville area. THE RIGHT HIKING SHOES AND BOOTS NOT ONLY PROVIDE THE APPROPRIATE FOOT SUPPORT FOR THE HIKE, BUT THEY CAN HELP IN SLIPPERY CONDITIONS, AND KEEP YOUR FEET DRY. A PAIR OF MERINO-WOOL OR SYNTHETIC SOCKS WILL KEEP YOUR FEET DRY AND HELP PREVENT BLISTERS. Ben concurs, “We do recommend to have a headlamp. Early morning/late afternoon hikes can still can be dark, it is good to carry some light. Also, check out Jeff Doran’s comprehensive list of hiking gear on his website. Leave a Message with Someone as to Where You are Going and Estimated Time You’ll be Back. 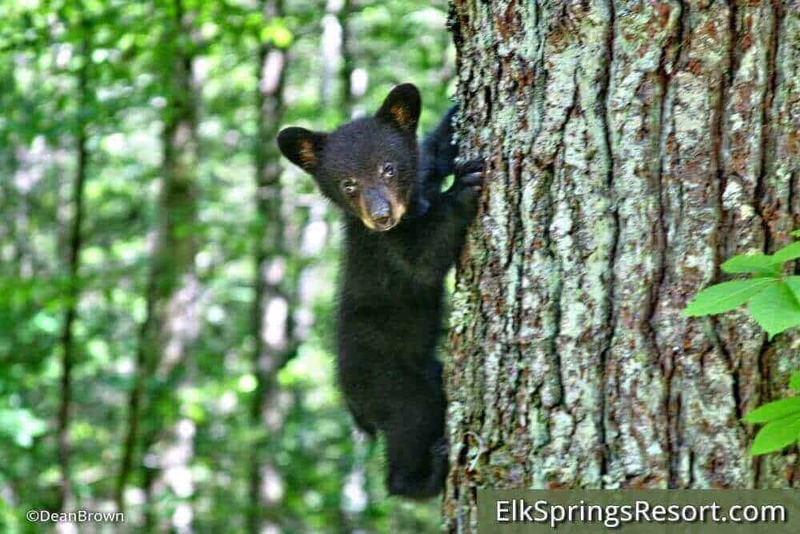 With one of the highest concentrations of black bears in the Eastern United States, 1,500 bears live in the park (a population density of approximately two bears per square mile.) 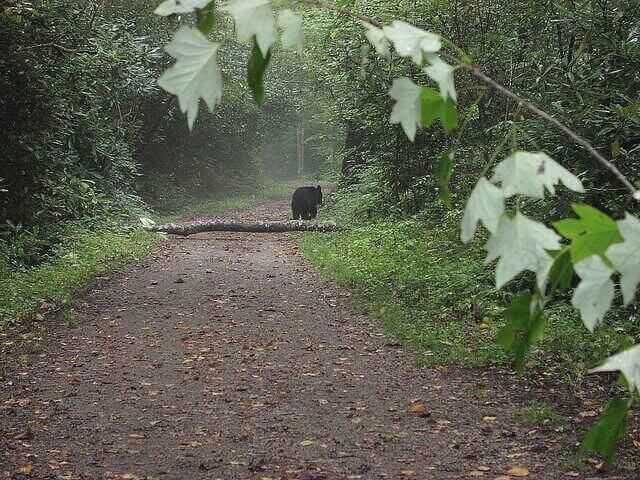 bears abound in the Great Smoky Mountains National Park. WARNING: Bears are wild animals that are dangerous and unpredictable. Do not approach bears or allow them to approach you! Do not feed bears! In fact it’s actually illegal to willfully approach a bear, so unless you planned for a mug shot photo opt on your vacation, really think twice before walking towards a bear. If you truly want to enjoy the awe of spotting a bear in the wild the park recommends visitors using binoculars, telephoto lens, or a spotting scope to view the animals, but again they warn visitors to keep their distance. Though some vacationers don’t mind seeing a bear from the safety of their car, most would prefer to avoid a bear encounter while on a hike in the forests of the park. Stay watchful, but not approach it. Don’t run, slowly back away while watching the bear. Try to increase the distance between you and the bear. If the bear gets closer, talk loudly or shout, sing a song at the top of your lungs. If bear continues to approach, act aggressively to intimidate the bear. Make yourselves look as large as possible, move to higher ground if you have hiking poles raise them high. If the bear continues to approach, throw non-food objects such as rocks at the bear. Don’t run and don’t turn away from the bear. Finally, don’t leave food for the bear; this encourages further problems. Watch this video for more information on animal and bear safety while hiking. Throw away all garbage or food scraps in bear proof garbage containers or take it with you. (These are located at most all park parking, picnic areas and visitor centers). Do not feed wildlife. Feeding a bear guarantees its demise! Do not approach within 50 yards or any distance that disturbs a bear. Do not allow bears to approach you. If you see another visitor breaking these rules help the park out by calling (865) 436-1230 or stop at a Visitor Center to report it.